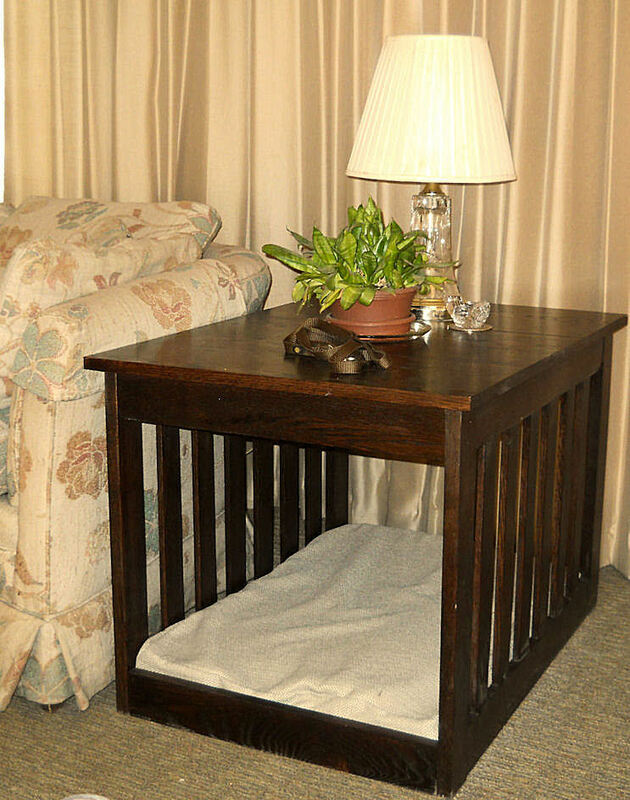 The solid hardwood end table is a practical comfortable place for your dog's bed. 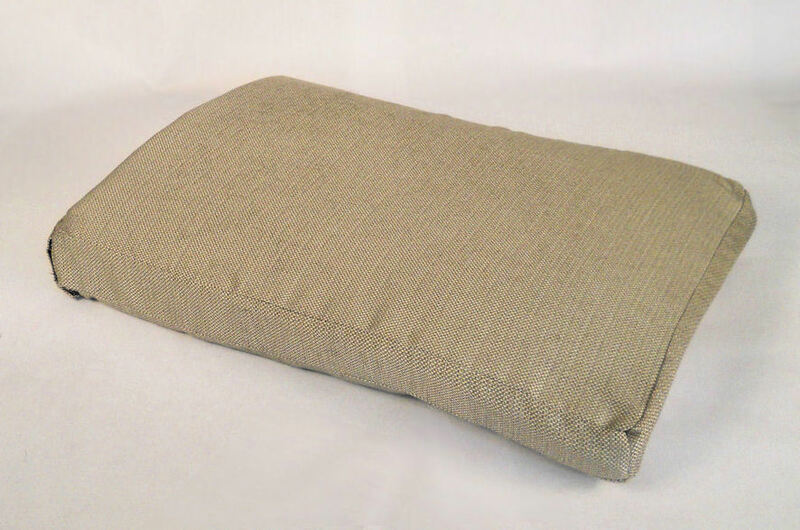 Combine their bed with beautifully crafted furniture made in the USA. "I am trying to sleep! 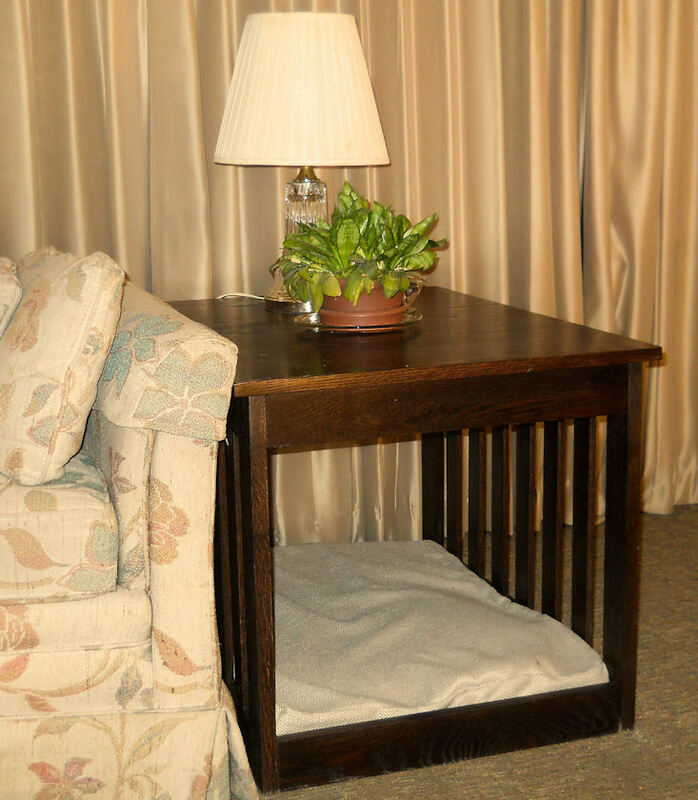 The end table bed allows dogs to be out of the way but still check out the action, whether it is in the family, living, bedroom in your house or office. 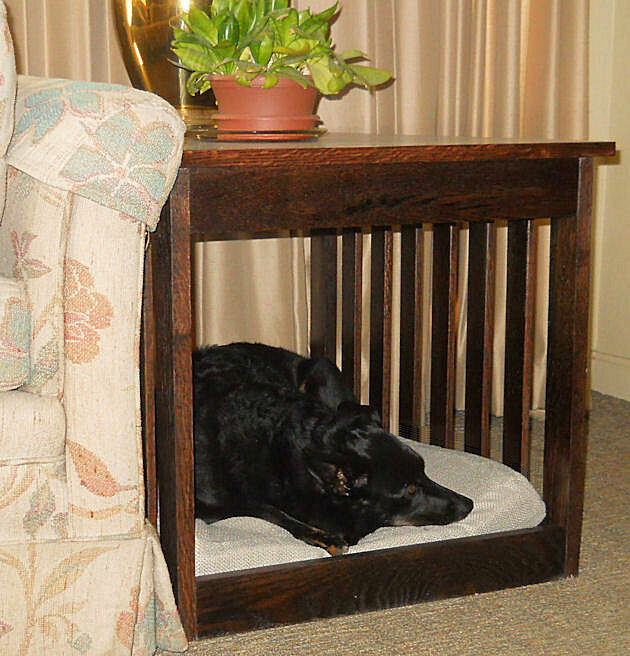 They like a little privacy, a place to curl up and sleep, that is why often they will get under the covers, against or behind the sofa, chair, or under the bed or coffee table. 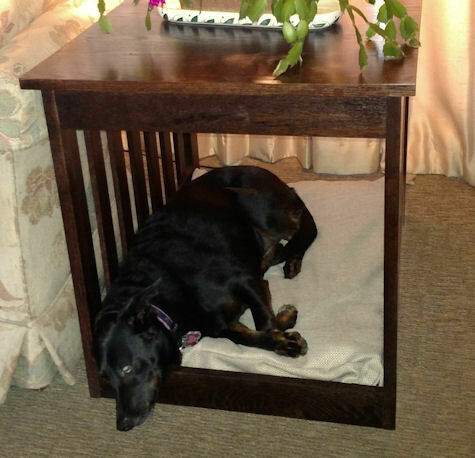 Many use crates for sleeping even thought they are not used for containment. 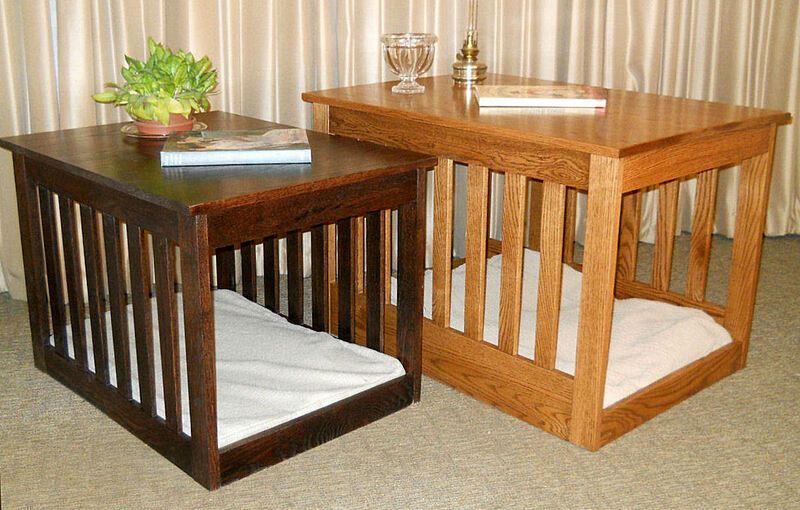 Both ends are open for easy access, the slatted sides increases the feeling of their own space and provides an area many dogs like to lean against. 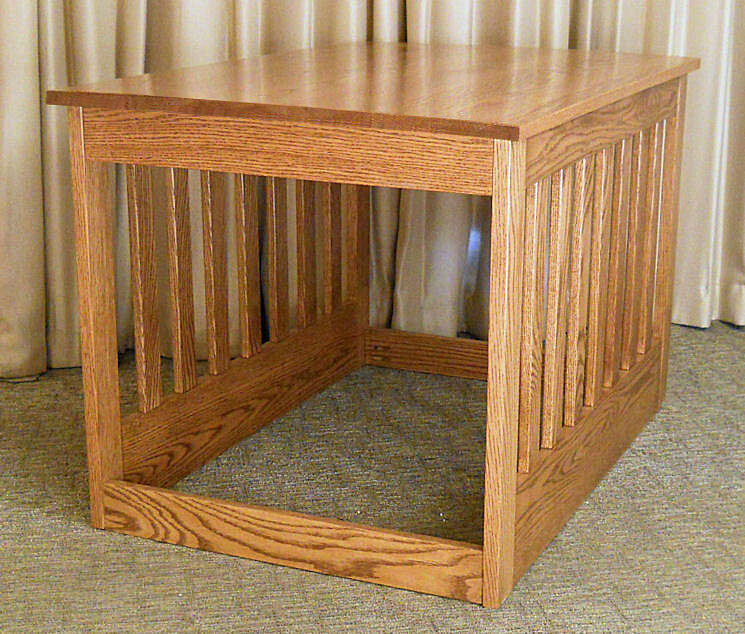 The bottom is framed with 3" high wood to contain the bed, pad or blankets. 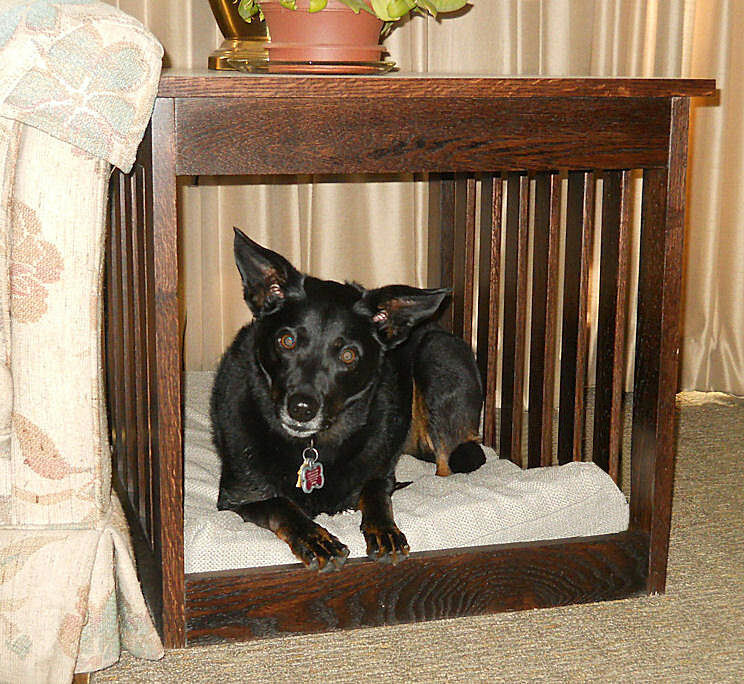 The interior dimensions fits many pans including the Midwest Pet Products line. 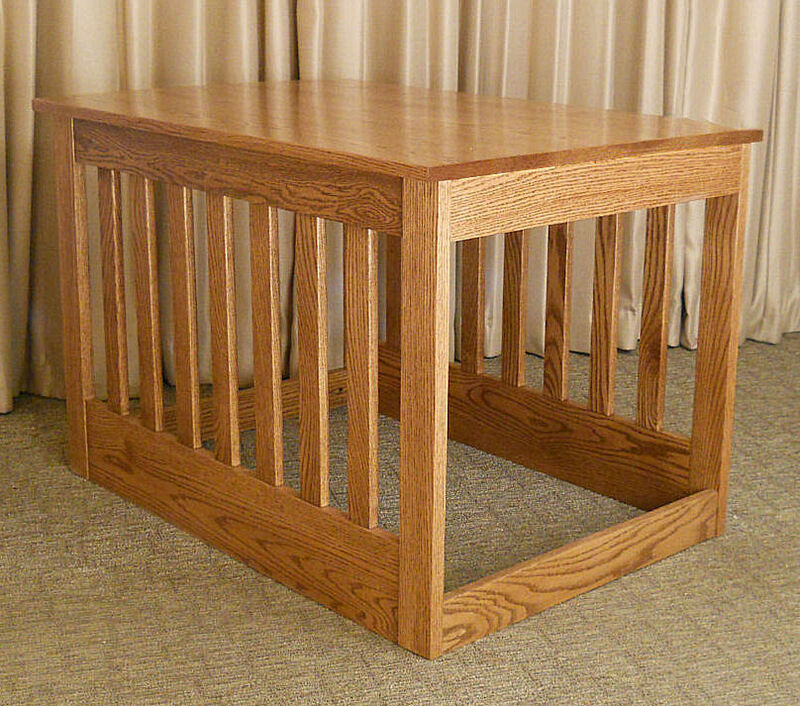 Solid Oak and Maple Hardwood Construction. Click here to view finish options. 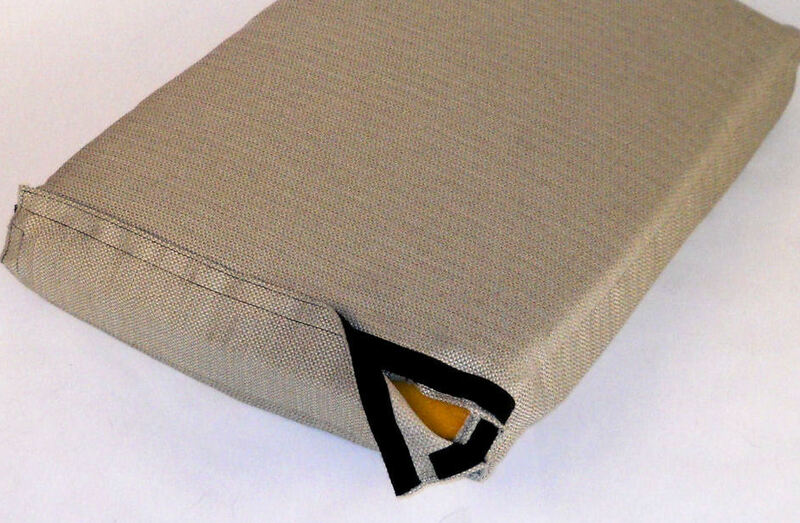 Sized to fit the End Table inside dimensions, and made with Crypton® High Performance Fabric which is well know as a superior material for dog beds covers. Crypton® features include: Built-in stain repellency and soil release make cleaning easy; Silver Ion anti-microbial protection offers resistance to odor-causing microbes; Enhanced abrasion resistance; Passes flammability requirements for commercial upholstery. Filled with high density bed foam.